This gorgeous girl is a 5-year-old Pitbull Mix. She’s super playful, super loving, and has the softest fur ever! And oh, does she love to give all the kisses! This beauty with the million dollar smile is waiting for her very own furever home. 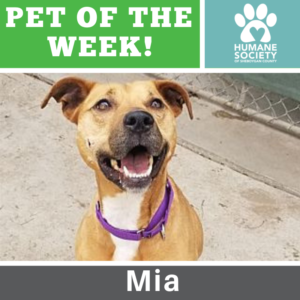 Find out more about Mia here.